American Farmland Trust honored Bob Ambrose with the Pennsylvania Farmland Preservation Local Hero Award this week. Bob and his wife run a 130-acre farm and are dedicated to protecting farmland from development. FoodCrops continues to thrive in its first year of service. One corps member in Maine is teaching students how to grow fruits and vegetables while eating healthier foods. Sunnyside Farm in Dover, Pennsylvania, will be hosting a workshop on solutions to everyday farm problems on October 17th. Topics range from how to save thousands of gallons of water to learning about creating a pig-managed rototiller. The USDA has awarded grants totaling more than $18 million for enhancing programming and support for beginning farmers and ranchers. Project funding was awarded nationwide, including support for the Stone Barns Center in New York. More fruits and vegetables, how are you doing it? The USDA is hosting a contest in which you submit short video clips on how you are adding more fruits and vegetables to your diet while still watching your budget. There are three different categories that you can enter into: tips for kids, tips when eating at home, and tips when eating away from home. So how are you adding more fruits and veggies to your diet? If you haven’t had a chance to get out to the countryside recently to enjoy the beautiful fall, savor some gorgeous fall farm photos before marveling in your closest countryside soon. Changes in climate felt throughout the nation could alter grape growing conditions in California wine country within the next 30 years. Changes are already being felt in Washington’s Puget Sound and Central New York where conditions, for the time being, are becoming more favorable for the wine industry. This entry was posted in Climate Change, Farmland Protection, In the News, Local Farms and Food, New York, Pennsylvania and tagged Beginning Farmers, Climate Change, conservation, Farmland Protection, New York, Pennsylvania, Stone Barns Center, USDA on October 7, 2011 by admin. The 2010 midterm elections brought significant changes to the makeup of Congress. In the House, the Republican Party gained 63 seats to take a 242 to 193 majority, while in the Senate, the GOP gained five seats, narrowing the Democrat majority from 53 to 47. The November results also brought a change of leadership at the House Agriculture Committee, where Rep. Frank Lucas (R-Oklahoma) has taken over from outgoing Chairman Collin Peterson (D-Minnesota). Vicky Hartzler, a new GOP Member from Missouri “owns an agricultural equipment business with her husband,” and has made balancing the budget one of her key priorities; and, a former Ohio Farm Bureau President, Bob Gibbs (R-Ohio) has indicated that “cutting the federal deficit and lowering the national debt” is one of his top concerns. Representatives Crawford, Hartlzer and Gibbs, will all serve on the House Agriculture Committee. Balancing fiscal restraint while maintaining a sound national agricultural and food policy will be a key issue as Congress gets to work. With respect to the Senate makeup and agriculture, the most significant change is the appointment of a new Chairman of the Senate Agriculture Committee. After Blanche Lincoln (D-Arkansas) was defeated on November 2, and Sen. Kent Conrad (D-North Dakota) opted to retain his chairmanship of the Budget Committee, Democratic Sen. Debbie Stabenow of Michigan became the new leader of the Agriculture Committee. About the author: Keith Good, an attorney from central Illinois, compiles a daily summary of news relating to U.S. farm policy each weekday at www.FarmPolicy.com. This entry was posted in Agriculture and Environment, Clean Energy, Climate Change, farm bill, Farmland Protection, Federal Policy, Uncategorized, Water Quality and tagged agriculture, agriculture committee, agriculture news, American Farmland Trust, congress, farm bill, Farmland Protection on January 18, 2011 by admin. Last year, TIME Magazine ran a cover story that called California “an apocalyptic mess … dysfunctional … broke.” Then it concluded, “It is still the dream state … the greenest and most diverse … the most globalized … an unparalleled engine of innovation.” Think of it what you will, California is unquestionably an agricultural leader, producing one-eighth of all U.S. food and fiber – more than 300 different crops – on just three percent of its farmland. Following is the first of a three part series that explains how American Farmland Trust is helping to reinvent agricultural conservation in the cornucopia on the Coast — written by our California Director, Edward Thompson, Jr., who has been with the organization since it was founded 30 years ago. California is not only the nation’s biggest agricultural producer; it is also the most populous and fastest-growing state. One out of every six acres of all the California land developed since the 1849 Gold Rush was paved over in just the past two decades. During this period, more than a half million acres – 840 square miles – were urbanized, most of it highly-productive and largely irreplaceable irrigated cropland. But the most troubling statistic is this: on average, only 9 new residents are being accommodated for each acre of California land permanently removed from food production. Imagine a couple of four-person teams playing touch football in the Rose Bowl – with a single referee – and you get a picture of how spread out that is. Suburban sprawl is a California invention and, despite a growing awareness that it’s bad for the economy, the environment and our food supply, it persists as perhaps the most significant long-term challenge facing agriculture in the Golden State. Then there are challenges that loom on the horizon but, in comparison with the more immediate problems, haven’t received as much attention from either agriculture or consumers: A changing climate that is likely to further exacerbate water shortages in a state totally dependent on irrigation. The increasing scarcity and cost of fossil fuels on which agriculture depends, not only to power tractors and irrigation pumps, but also for fertilizer and pesticides. And inadequate infrastructure, everything from crumbling aqueducts to the lack of cold storage devoted to local rather than national distribution of produce. What all these challenges have in common is that they raise a fundamental question about the sustainability of California agriculture. Can it continue to produce enough healthy food for a growing global population while maintaining the health of the planet and its own residents? Since opening its first California office in 1983, American Farmland Trust has been working with farmers, ranchers and many other partners to address that question on three fronts: farmland protection, regional food systems and environmental stewardship. The central fact about farmland in California, as in much of the country, is that expanding urban areas are situated right in the middle of the most productive, versatile land. Nowhere is this more apparent than in the San Joaquin Valley (map), which accounts for 60 percent of California’s $38 billion annual agricultural sales. There, the most fertile, well-watered and least environmentally problematic farmland (dark green) traces the Highway 99 corridor beneath the foothills of the Sierra Nevada mountains on the east side of the Valley. Strung out along that freeway are six major urban areas and a host of smaller ones – all of them expanding into the surrounding land. About 4 million people now live in the San Joaquin Valley, a figure expected to reach 9.5 million by the year 2050. That’s equivalent to adding four more major urban areas and, at the present rate of conversion, it would consume another 330,000 acres of the Valley’s best farmland. This kind of growth puts such pressure on farmland that the traditional approach used by AFT and others to save land, the purchase of conservation easements, doesn’t have much of a chance of success in the San Joaquin Valley. It’s simply too expensive and too slow. So, the centerpiece of our strategy in California has been the management of urban growth through better planning and stronger land use policies, building a framework for more compact, efficient development step-by-measured-step. Since 2004, AFT has participated in the California Partnership for the San Joaquin Valley – a blue ribbon commission charged by Governor Arnold Schwarzenegger with addressing the Valley’s many problems, from poor air quality and poverty to crime and conservation. The group called for a regional planning exercise that became the San Joaquin Valley Blueprint, the first time all eight counties in the region have worked together to map out future urban growth. Last year, with AFT participating on the regional advisory committee for the Blueprint, officials endorsed a compact growth strategy that will, in comparison with a continuation of present development patterns, save more than 115,000 acres of the Valley’s most productive farmland by the year 2050. Though this is an encouraging result, we argued for an even more ambitious plan that would have cut farmland loss in half, saving 175,000 acres and $2.3 billion in annual agricultural economic activity. That plan was rejected by local government officials, even though it was backed by a strong majority of citizens who attended a regional summit meeting. Undaunted, we’re pursuing three new initiatives to protect more farmland in the San Joaquin Valley. Using California’s Landmark Climate Bill as a Lever of Land Use Policy. AFT is a founding member of a consortium of nonprofit groups called Climate Plan, whose mission is to forestall and mitigate climate change through better land use. The connection is that auto travel is one of the main sources of greenhouse gases (GHG) and is closely tied to the pattern of land development. The more spread out it is, the more people have to drive. So, the solutions to global warming and farmland protection are the same: more compact urban growth. Under state law, the California Air Resources Board is now setting targets for greenhouse gas reduction through changes in land use and transportation patterns. The target recently established for the San Joaquin Valley calls for a 12 percent reduction in GHG by 2030, which can be accomplished only if the Valley’s urban areas grow more efficiently, using less farmland per person, than the Blueprint calls for. That would require local officials to adopt a more aggressive growth management strategy like the one AFT advocates, or forfeit state and federal transportation funding. In the November election, this strategy got a boost when voters resoundingly rejected Proposition 23, which would have effectively repealed the state’s climate law. Our new “Groundswell” initiative in the San Joaquin Valley is intended to increase public participation in land use decision making and, thereby, hold elected officials more accountable for their actions. The Blueprint decision illustrates the need. Though Valley officials rejected the more ambitious plan that would have saved more farmland – and resulted in less greenhouse gases, air pollution, habitat loss, energy consumption and taxes spent on public services – there has been little hue and cry from the public. We hope to change this by rallying nonprofit organizations concerned about many things that define the quality of life in the Valley to encourage decisions that will serve all their interests. To date, 30 organizations have joined the network and a web site www.groundswellsjv.org serves as their communications hub. This entry was posted in Agriculture and Environment, California, Climate Change, Farmland Protection, States and tagged California, Climate Change, Farmland Protection, land use, San Joaquin Valley on November 10, 2010 by Ed Thompson. 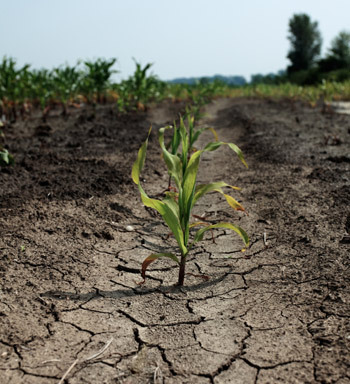 Farmers and ranchers across the United States and throughout the world are already experiencing the repercussions of changing weather and climate. The impacts are particularly felt in the American west where declining water tables, increases in temperature, and a rise of pests and diseases moving into new areas have been linked to the changing climate. Our ability to adapt through transformations in technology and environmental conditions will be a key factor in the future of agricultural production and economics. Reacting to these changes will require a broad-based effort from stakeholders across the environmental and agricultural communities. 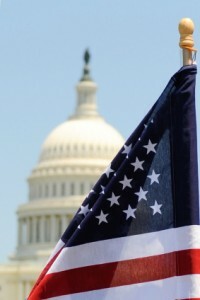 On July 19, 2010, in Denver, Colorado, we are inviting members of the agricultural community to meet with representatives from the USDA and the White House Council on Environmental Quality in an effort to bring these stakeholders together. The objective of the one-day session is to help in developing Federal recommendations for adapting to climate change impacts. In addition to hearing about planning efforts and proposed adaptation strategies, farmers and ranchers will have the opportunity to contribute their feedback on how agricultural producers can adjust their operations to meet an unpredictable future. 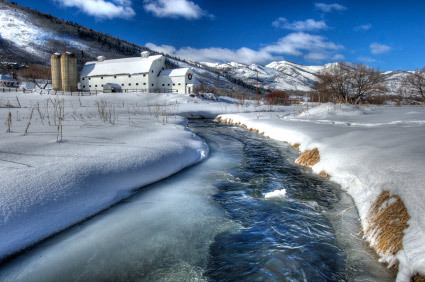 The public meeting, Helping Agriculture Adapt to a Changing Climate, is organized by the USDA and co-hosted by American Farmland Trust and the National Center for Atmospheric Research. A draft agenda and additional information, as well as registration material, are all available online. Please join us for the meeting and help us to spread the word to other interested parties, including farm groups, trade groups, commodity groups, agritech and agribusiness representatives, insurance representatives, environmental/conservation groups, and local/national land managers/producers. We look forward to seeing you soon in Denver! This entry was posted in Agriculture and Environment, Climate Change and tagged agriculture, American Farmland Trust, Climate Change, Colorado, National Center for Atmospheric Research, USDA on July 13, 2010 by Jimmy Daukas. Recently, President Obama attended the White House Conference on America’s Great Outdoors to speak and sign a memorandum that sets a 21st century conservation agenda to bridge public and private efforts to conserve outdoor spaces (including farmland) and connect Americans with the outdoors. While the efforts of farmers and the importance of farmland conservation were mentioned by the President, I want to stress how vital farmland is to any strategy to protect the outdoors. Why? Because farmers and ranchers are stewards of almost half the land in America. Moreover, farms produce more than food, fiber and renewable fuels. Increasingly we’re pressing farm and ranch land into service to also address climate change, air and water pollution and energy concerns. The President also noted that “conservation is not contrary to economic growth,” but an integral part of it, and he’s right. Environmental markets mean new opportunities for American agriculture. We no longer measure the production from our nation’s farms and ranches by just bushels, bales, pecks, or animal units ―but now also miles per gallon, carbon offsets, water quality credits and bird nesting sites. However, if we’re going to have healthy farms, healthy food and a healthy environment, we have to remember that farm and ranchland is the critical component. We can no longer assume that increased agricultural productivity per acre will make up for the continued loss and fragmentation of our farmland, or offset the increasing demand on agricultural lands to provide these types of environmental benefits in addition to the basics of food and fiber. Some of the broad goals of the America’s Great Outdoors initiative include building on local and state and private priorities for the conservation of land, water, wildlife and other resources; and determining how the federal government can best advance those priorities through public private partnerships and locally supported conservation strategies. There is much to gain if we focus on stemming the loss of America’s farm and ranchland. Despite efforts to protect agricultural land, over 23 million acres has been lost since 1982. We need to clarify and understand the multiple demands on, and the benefits provided by well-managed agricultural lands, and determine our country’s need for agricultural land as a national security asset in a sustainable green economy for food, environmental services, wildlife, energy and open space. The Departments of Agriculture and Interior are accepting ideas to better support modern-day land and water conservation efforts happening in communities across the country. We hope you’ll submit a comment expressing the importance of our farm and ranch lands in achieving any national conservation goals. We can encourage the federal government to be an active partner and contributor to the efforts of private landowners, states and communities to secure and manage this resource base for future generations. At American Farmland Trust I know we’re ready to work with the administration and stakeholders, and I hope you’ll join in this effort, too. This entry was posted in Agriculture and Environment, Clean Energy, Climate Change, Farmland Protection, Federal Policy, Water Quality and tagged America's Great Outdoors, American Farmland Trust, conservation, Ecosystem Services, Environmental Markets, Farm and Ranch Land Protection, President Obama on June 23, 2010 by Bob Wagner.